AUGUSTA, Ga. — Check out the Masters leaderboard and you’ll realize: Thursday ruled. Don’t let anyone tell you otherwise. We began the day under the young early leadership of Corey Conners and Justin Harding, but graduated to a list of names chock-full of star power. Friday might be even better. And Saturday and Sunday better than that. At this point, thunderstorms feel like the only thing holding us back from a full-on fistfight. Here’s what you should be dialed in on heading to round two at Augusta. 10. Tiger Woods is here. He’s not winning. He’s not losing. But he’s very much in contention after a two-under 70 that felt like it could have been a few shots better. You already know this. A more intriguing subplot, however: Woods’s caddie, Joe LaCava, ditching his typical New York Rangers/Giants apparel to rep the Endicott Gulls! That’s a Division III college in Massachusetts where his daughter goes to school. Stay tuned for tee watch on Friday. 9. Jason Day’s back is bad. Does it matter? Either way, he was right. Day looked to be in serious discomfort all afternoon at Augusta, and yet he gimped along to a two-under 70. 8. Jordan Spieth is in trouble. Jordan Spieth was supposed to come home to Augusta National this week. Rumor was he’d drink the water from Rae’s Creek, bathe in the pond by No. 15, sleep on a bed of azalea petals and be cleansed of all that ailed his golf game. Instead he started by missing a bunny at No. 1 and had to sit and watch as Koepka boat-raced him from within the same group! Koepka kicked him while he was down, beating Spieth’s 75 by nine shots. What remains Friday is a furious fight for a made cut. 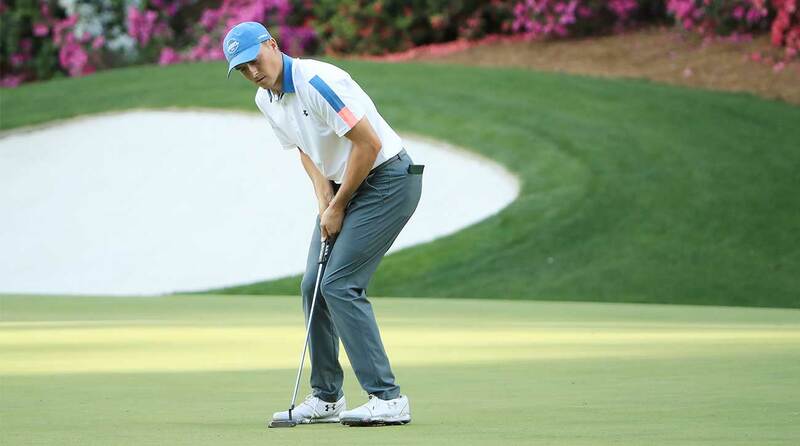 Jordan Spieth reacts to a missed putt during the first round of the Masters. 7. Fred Couples may finally be aging. That Spieth Augusta Renewal scenario I just described? That’s what I imagine Freddie has been doing for the last 20-odd years while he’s popped up all over Masters leaderboards. 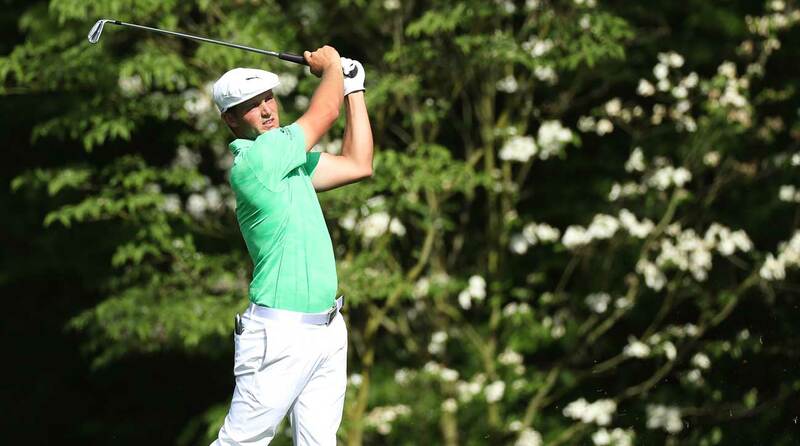 The guy could barely bend over to tee up his ball last year — and he still easily made the cut. But this year Couples is only beating four players: Misters Woosnam, Singh, Cabrera and whoever borrowed Paul Casey’s body to post 81. If anything, Couples’ mortality should remind us just how ridiculous his stretch has been, making 31 cuts in 34 years. And we still won’t count him out ’til he’s holed out on 18 Friday. 6. Viktor Hovland is (a) big-time gamer. That’s (a) for amateur, and Thursday’s low am was exactly who we thought it would be: Viktor Hovland, the Oklahoma State star who won last year’s U.S. Amateur at Pebble Beach and looks every bit like the real deal. He sits inside the top 30 after an opening-round even-par 72 and has every chance to throw down the best amateur finish since Bryson DeChambeau finished 21st in 2016. 5. Who’s missing the cut? It looks like the cut line — top 50 plus ties, as well as anyone within 10 shots of the lead — will most likely end up at two or three over. That means Paul Casey (seven-over 79?!) is on the outside looking in. Justin Rose (75) is the other biggest surprise. And given the birdie flurry at the end of the day, tournament favorite Rory McIlroy’s one-over 73 ended up looking especially pedestrian. Patrick Reed, Xander Schauffele, Sergio Garcia and local legend Charles Howell III were among the others at one over. 4. There are no par 5s left at Augusta National. The four easiest holes relative to par stuck out because they were, predictably, the four par-5s. No. 8 was the “toughest,” at 4.63. No. 13 was the easiest, at 4.55. Players made more fours (159) than fives (155) on the four holes. Will tournament organizers do anything to beef up the difficulty of its two-and-a-half shotters? Bryson DeChambeau made nine birdies en route to an opening 66 Thursday. 3. Today’s bounceback award goes to — Mike Weir! The guy has bounced back from plenty in his career, including long stretches of irrelevance, injury and on-course struggle. Still, it was surprising and inspiring to see the Sarnian Southpaw strike back after a rough start, going from three over through eight to even by day’s end. A made cut would be a fantastic way to warm up for next week, when Weir will travel to Alabama for a Web.com Tour event. 2. Lefty looks, like, legit. While Brooks and Bryson (more on them later) were firing off birdies at the top of the leaderboard, Phil the Thrill quietly reeled off a back-nine heater of his own. He bogeyed 11 to get back to even par, then birdied 12, 13, 15, 16 and 18 to post five-under 67, just one shot out of the lead. The guy is 48 years old. He’s 48. He’s smashing the hell out of the golf ball — 305 yards off the tee today, on average — and looks an awful lot like a guy who’s going to contend for a fourth green jacket. 1. Brooks and Bryson — we doing this? For Brooks, this means are we doing this — again?! The guy’s bullied his way through three of the last six majors. For Bryson, it means are we doing this, for real? The guy’s never finished a major under par. To read about these two, they’re the brains and the brawn. Really, though, Brooks has more brains than he gets credit for and Bryson has a heck of a lot more brawn — the guy’s jacked! This is by no means a two-horse race, but this Masters leaderboard rules. These two holding the lead is the perfect intrigue we need heading two Friday after a fantastic start.